Turbinata variety. 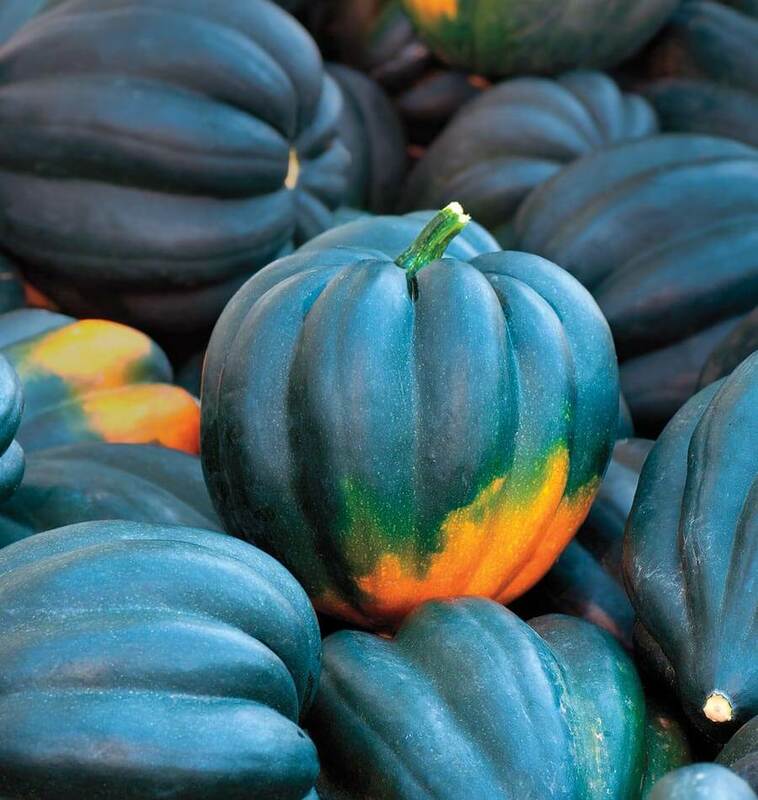 Also called Pepper Squash. 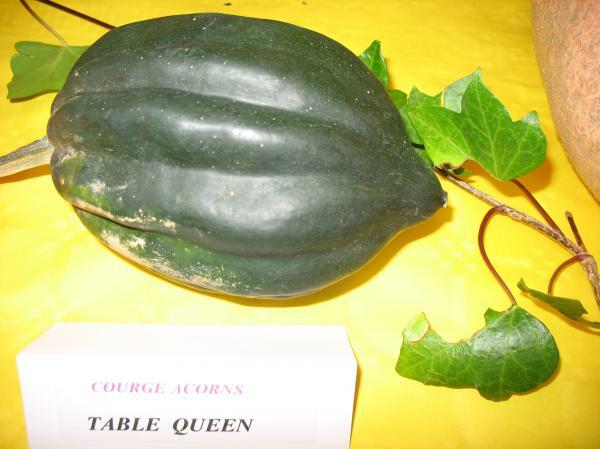 Table Queen acorn squash are a reliable old heirloom. This very old variety was introduced commercially by the Iowa Seed Company in Des Moines in 1913. This variety is believed to be derived from the nearly similar strain traditionally cultivated by the Arikara Indians. 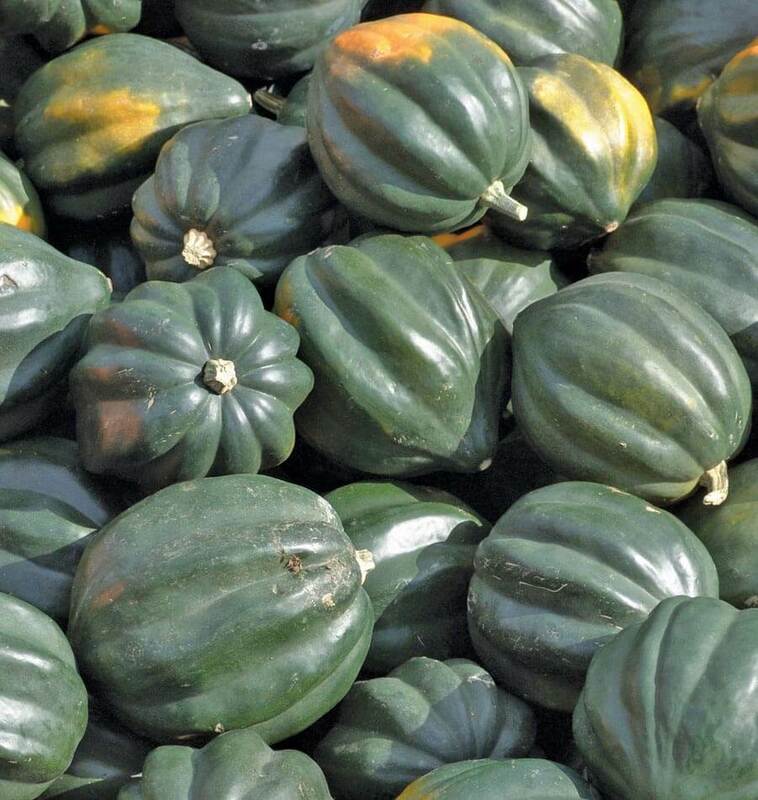 Dark green skins and a pronounced acorn shape on fruits that average 15cm (6″) in diameter. Table Queen has excellent storage ability. The long vines are prolific and exceptionally early. The sweet interior flesh is bright yellow, but turns to a golden orange colour in storage. For best storage, allow the fruits to ripen fully on the vine, and harvest just before frost. Wipe the fruits down with a weak bleach solution, and store in a cool, dry place. 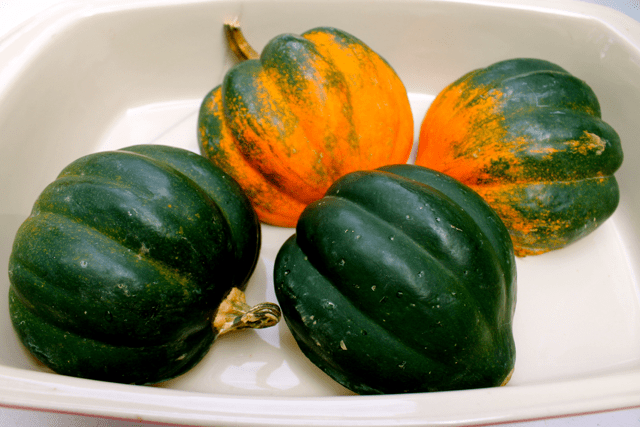 Choose one with a dull green rind; an acorn squash that's turned orange will have tough and fibrous flesh. Matures in 85 days. A variety that is a third larger than a regular acorn. Has very productive and vigorous vines. 90 days. 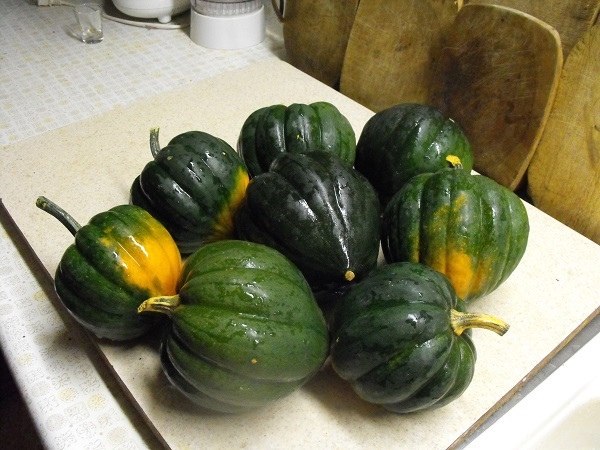 Green in color with lighter spots and orange pulp, dry and with the smell of walnut. The taste improves with preservation, which can last up to 8 months. 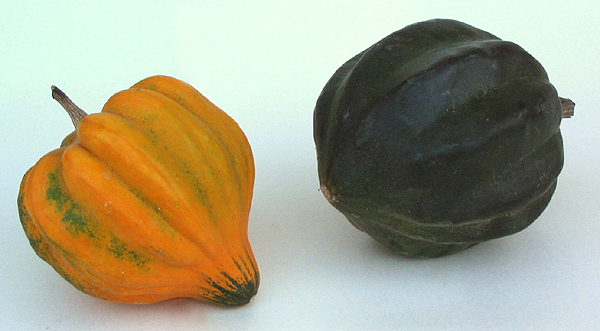 Non-running acorn squash of the group "Acorn". Very hard epidermis of dark green color. Stringy orange flesh but very fragrant. Sweet almond flavor. 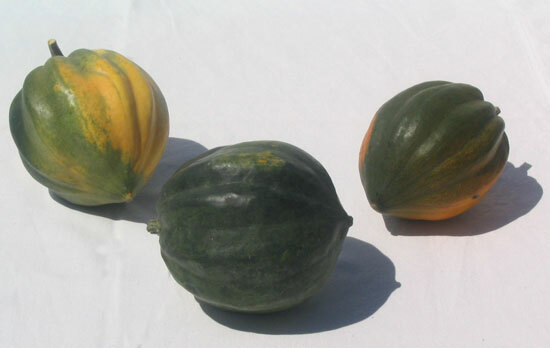 4 to 8 fruits of 0.5 to 1.5 kg per plant. Preservation: 3 to 6 months. Growth: 80 to 110 days. This variety was selected by the University of Connecticut in 1974. One of the best of the bush acorns. 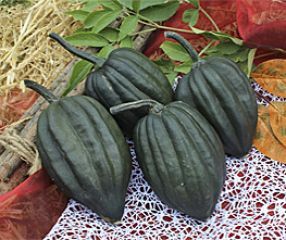 High yielding green-skinned (4-5 fruits/plant) with a good sweet flavor. Bred by Cornell University. 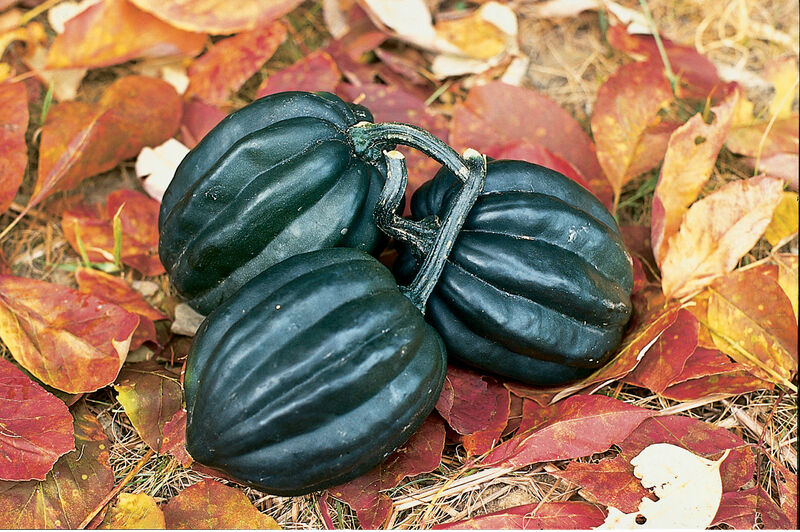 Resistant Early Bush Acorn (REBA) lives up to its name as it yields well even in wet climates where disease challenges abound for the pepo types of squash. Does great in semi-arid climate too. 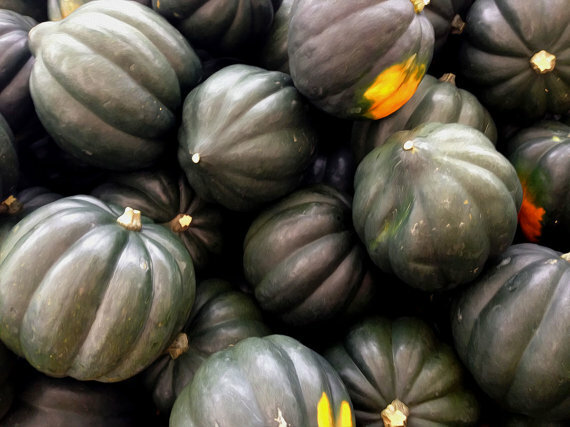 If you don't have enough room to plant a winter squash, think again. 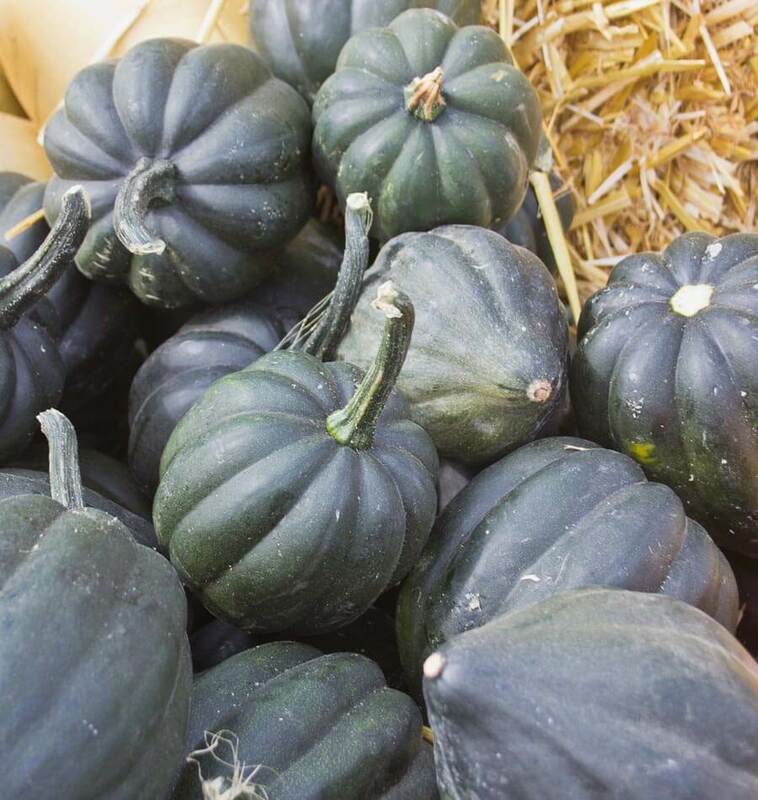 Reno offers all the goodness of a traditional acorn squash on a single-stemmed, bushy plant that's respectful of your garden space. 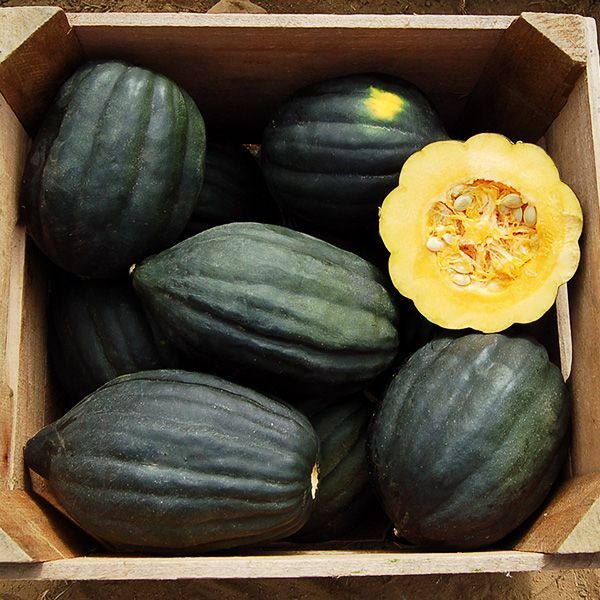 These dark green fruit reach 5 inches across and 1 1/2 pounds apiece with very refined, golden flesh that's flavorful and sweet. 75 days.